Welcome to my Family Friendly Food Recipes page, where you will find all my recipes broken down into categories. I am working on more recipes in each category, so come back often. To learn more about meal planning and how to save time and money, visit this article. Many of the desserts here can be made vegan by switching out the milk to coconut milk or almond milk. The butter can be changed to Earth Balance sticks, and flour, to a gluten-free blend, but whatever your allergies or preferences are you can leave me a comment or email me and I can help you with ingredient substitutes. I have put together a list of some of my favorite tools in the kitchen to make my recipes. Party Planning shouldn’t be so stressful that it takes the fun out of your event, so my number one advice is to make lists and ask friends to help. 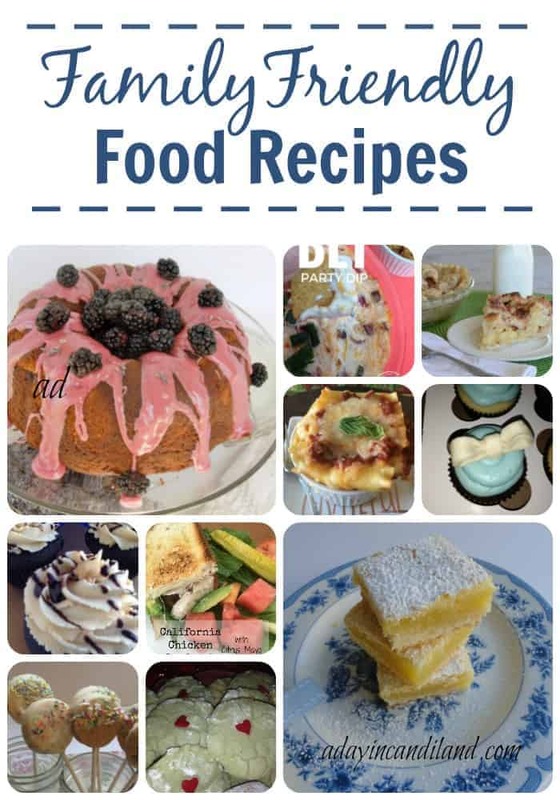 Here are a few things I use to make my Family Friendly Food Recipes and baking easier. *Below are items in my Amazon store. Please see my disclosure policy here.